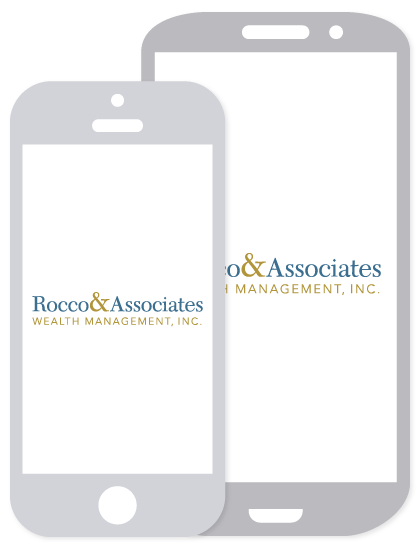 Rocco & Associates Wealth Management, Inc. is a holistic financial services firm based in Fairfield, CT offering a wide range of financial planning solutions. Combining the tradition of the finance industry with the culture of a startup, Rocco & Associates Wealth Management is looking for energetic individuals who will bring a fresh perspective and innovative touch to a traditional concept. Take the first step in joining our growing team today! Asset Management: Utilize Morningstar to actively engage in research to complete a quarterly investment committee meeting report, which analyzes the performance of current portfolios and assesses the viability of new holdings to be added to portfolios. Also, monitor investments throughout the semester to ensure they still meet our investment criteria. Financial Communication: Attend investment committee meetings and market outlook meetings to support the creation of internally produced market outlook blogs and client specific reports. Financial Research: Use Morningstar Advisor Workstation, Orion Advisor, and Riskalyze to assist in maintaining asset allocations, model portfolio, and hypothetical portfolios for new and existing clients. Also, use Morningstar to actively engage in research to help advisors make portfolio decisions for clients. Operations & Customer Relationship Management (CRM): Use the company’s client database and associated analytics to refine client service processes and maintain securities database. This internship offers a unique learning experience in the world of personal financial planning and an opportunity to be creative on a day-to-day basis. Also, the intern will be instructed in the fundamentals of financial products and strategies including mutual funds, ETFs, annuities, life insurance, long-term care insurance, estate planning, and taxation. Additionally, the intern will participate in educational sessions to help further his or her future career endeavors. The internship is for credit, and there are sometimes paid part-time positions available upon completion of the program. Future employment is not guaranteed. The Rocco & Associates Internship program is year round. Fall interns are expected to work 15-20 hours per week and the deadline to apply is July 31. Spring interns are expected to work 15-20 hours per week and the deadline to apply is November 30. Summer interns are expected to work 20-30 hours per week and the deadline to apply is March 31. The programs last approximately 12 weeks. At least two years of College/University education with a minimum GPA of 3.0 (lower GPAs will be considered on a case-by-case basis). Above average skill with Microsoft Office Suite (Word, PowerPoint, Excel, Outlook). Experience with a CRM system is a plus. Experience with financial research applications such as Morningstar or Bloomberg is a plus. Excellent verbal and written communication skills required. Writing samples will be requested. Team player who can work in a group, but also work independently on large tasks. Will be required to plan out course of action to finish creative projects on time.